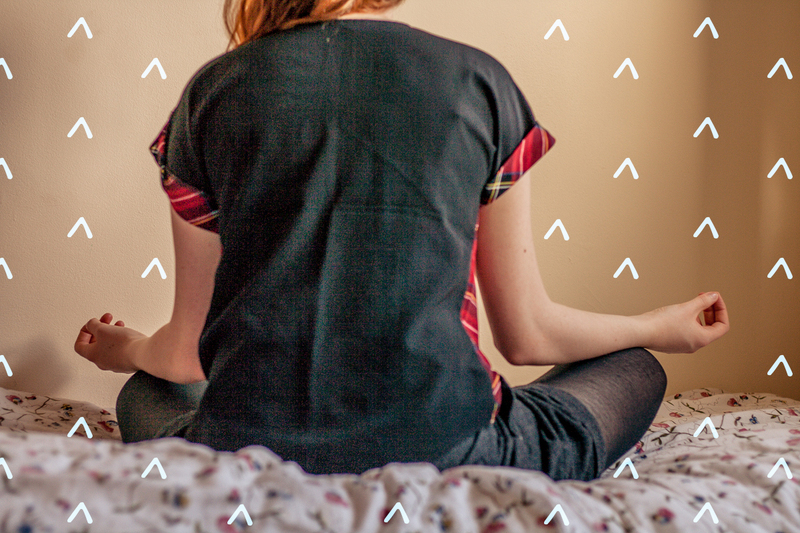 This month's happy change was somewhat of a challenge: Meditate on a regular basis. It's funny how the simple act of doing nothing can be so challenging. Sitting in silence should be simple, but it's at odds with our hyperconnected society. We live in a world where each passing moment is punctuated with the familiar 'ping' of yet another notification. Another update on our follower stats, messages, event invites, and the like. And the Facebook likes, for that matter. Even when your connected devices are sitting dormant: your own thoughts fill the silence. Another 'high priority' item pops into your mind to be slotted into your mental to-do list. Or a worry appears and demands to be mulled over for an unhealthy period of time. Clearly, silencing your mind is not as simple as flicking a switch. And it's certainly not as simple as turning off your mobile phone anymore. You need to actively train your brain to take some time off from the whirlwind of thought. Enter: meditation. Benefits of meditation: Clears the head and improves focus, decreases stress. I've been interested in meditation for a while, but it wasn't until this month that I began actively making time to give it a go. And, although I'm ridiculously busy, making time for meditation doesn't seem to be a problem. It helps that I've started small: meditating for no more than 10 minutes at a time. Even just meditating for this short time has had noticeable effects on my mindframe. Immediately after a meditation session, I am utterly refreshed and calm. And then, for the rest of the day, I feel that I can deal with any obstacle that comes my way. In case you're curious: I prefer to meditate in silence, by simply closing my eyes and focusing on my breathing. I tried listening to the guided meditations that you can find on Youtube, but so far I haven't found one that has resonated with me. Having said that, sometimes I'll listen to an instrumental meditation video, if my mind is really busy and I don't think I can quieten it on my own. 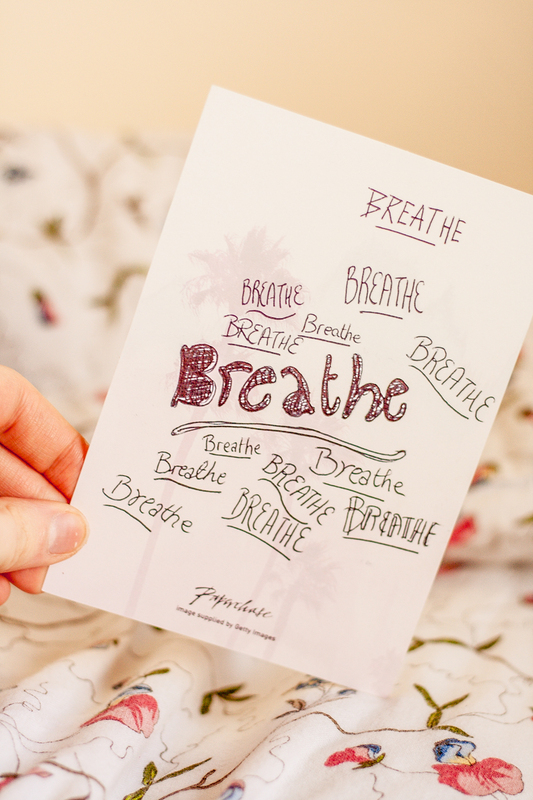 Concentrate on your breathing - if you are struggling with banishing your thoughts, you can literally think 'breathe in' as you inhale and 'breathe out' as you exhale, to help focus your mind on the present. Choose your meditation position carefully - I sit cross-legged because it's comfy, yet it feels suitably different from the way I would usually sit. Sitting in this way means that my mind isn't triggered to produce thoughts about work or university, as it would if I were to sit the way I do at my desk. Start small - as I've said, the act of switching off takes practice. So start small, meditating for 5 or 10 minutes, and build it up as you become more accustomed to it. Be easy on yourself - don't expect to be able to close your eyes and be transported to nirvana in a few deep breaths. At the beginning, you'll find that your mind wanders. Don't get frustrated with yourself. Simply acknowledge your thoughts, and let them go by focusing on your breathing. Switch your phone to 'do not disturb' - obvious, but oh-so important. Being interrupted by your phone will ruin your zen vibes. The only reason I say to switch it to 'do not disturb' instead of turning it off completely is because I use my phone as an alarm - the 'chimes' ringtone is quite a nice one to gently waken you from a meditative state! 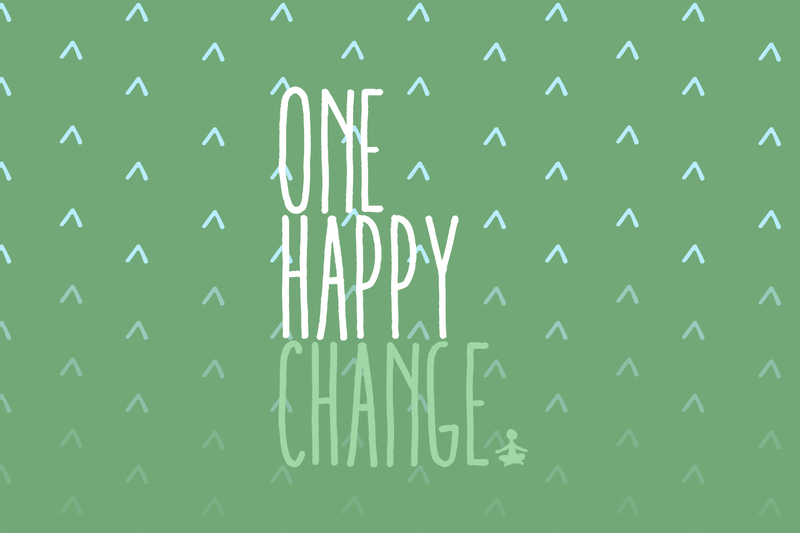 Hope you've enjoyed reading about my happy change for February! Have you ever tried meditation? Did it seem like a waste of time or did you feel a benefit from it? Aw, what a sweet thing to say! Thank you Ellie! Love the pictures, and amazing post ! Isn't it surprisingly difficult!? I think I'm a long way off mastering it - but I'm hoping that I'll get there at some point as I keep practicing! I've never tried meditation before but I know that when in stressed taking deep breaths helps me a lot so I know meditation would help even more! Loved your pictures and the meditation idea! I've always wanted to make it a habit, but I find it so hard to just sit down and not worry about anything... Also, is this 'happy change' an ongoing thing on your blog? LOVED the idea! Love this post. It's inspired me to want to take some time to meditate now. It sounds as though it will be beneficial. Thanks for the tips. I still love that you're doing one thing a month and I was excited to see what you'd be doing throughout February. I used to make time for meditation a lot more... but to be honest, I don't think that I ever reached a meditative state and I got discouraged. It's hard. But that's not really an excuse to quit. And reading your post, I'm reminded of the incredible power of taking 10 minutes a day to do something quietly by yourself. Even if you don't reach an actual meditative state, a few minutes of focusing on your breathing is such a good thing. Thanks for the inspiration and this post - I need to get back into this. I love the idea of changing something different each months, though I'm not sure how good I'd be a meditating, I'm terrible at making time for things like that!